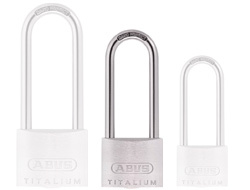 Available in 30mm, 40mm, 50mm sizes with longer shackle respectively. Please select your desired size from the drop down menu above. 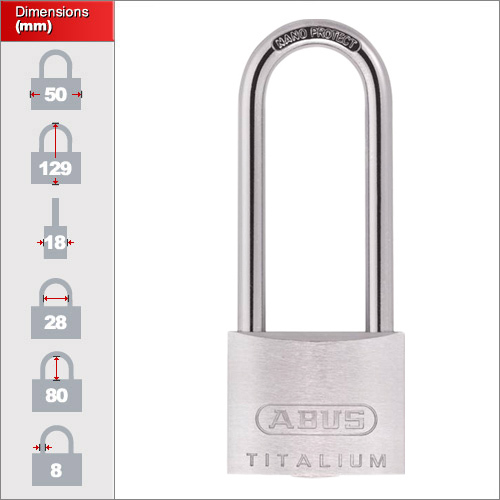 Each is of the same design and dimensions but have increased security with size. 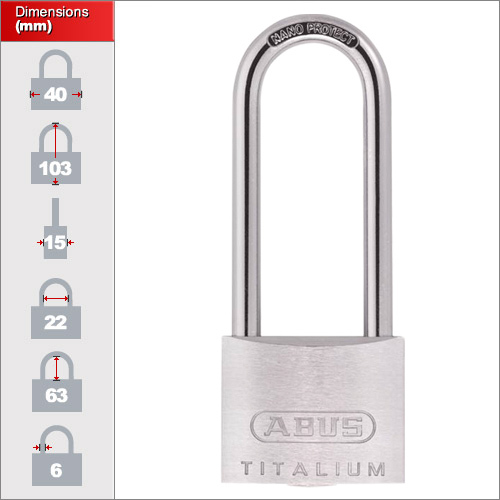 Your choice of padlock size depends on the application. 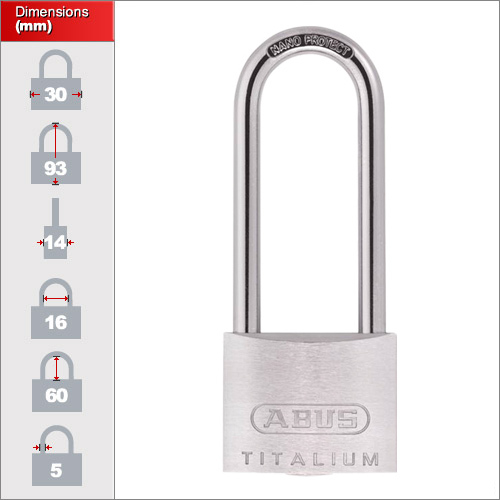 Although long shackl locks give you more scope you are still increasing the area to attack so they are generally seen as a lower security option to the standard and closed shackle designs. That said, they are still made from hardened steel to help protect against cutting, bolt cutters and force attacks in general.